Oakes Vegan friendly artisan luxury diffuser for your home in Champagne. Made locally in Liverpool. The diffuser liquid is housed in simple cylindrical white glassware with a silver screw on cap. The 100ml Diffuser is elegantly finished with a metallic silver label. Each diffuser has black natural fibre reeds designed to give you the maximun throw of fragrance from your diffuser. 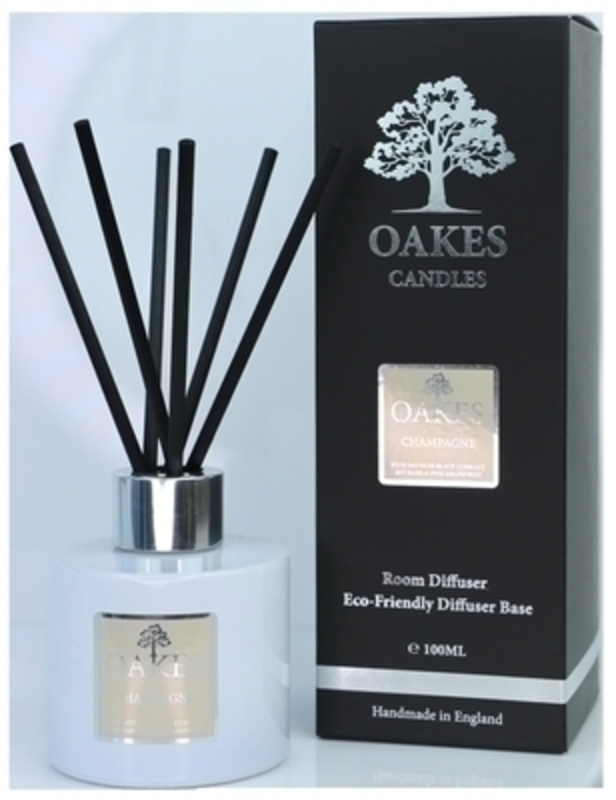 Finally this luxury Oakes Diffuser is elegantly packaged in a bespoke stylish foil Oakes Presentation Box.